Last year we got mouth guard and bottle flipping games. 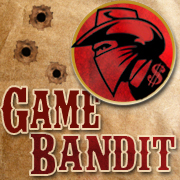 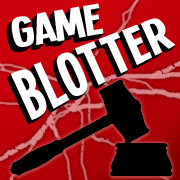 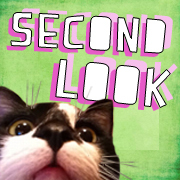 So what new games inspired by social media do we have for this year? 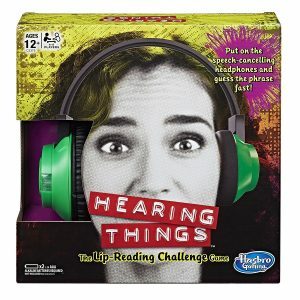 Based on the whisper or lip-reading challenge, Hasbro has for us Hearing Things ($15). 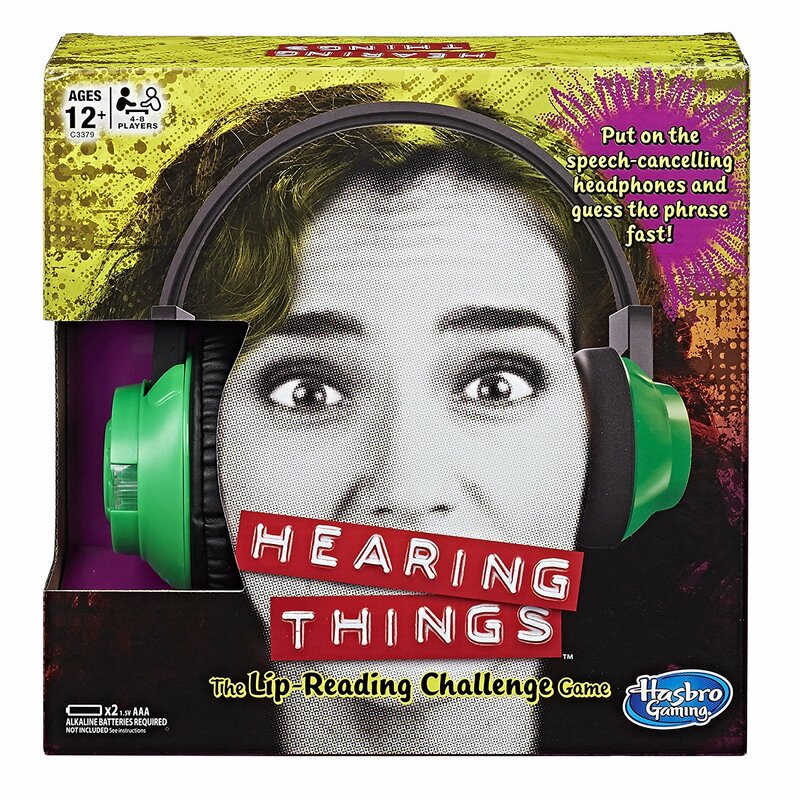 In the box is a set of headphones that plays garbled sounds of people speaking, thus masking the sounds of actual people speaking when they read phrases off the included cards. 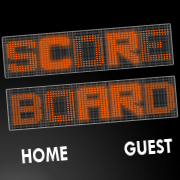 Otherwise, game play is the same. 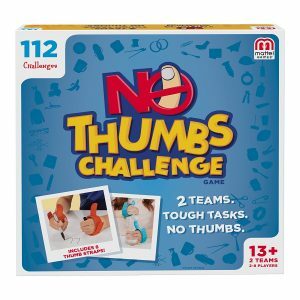 From Hasbro and Mattel both we have no-thumbs challenge games. 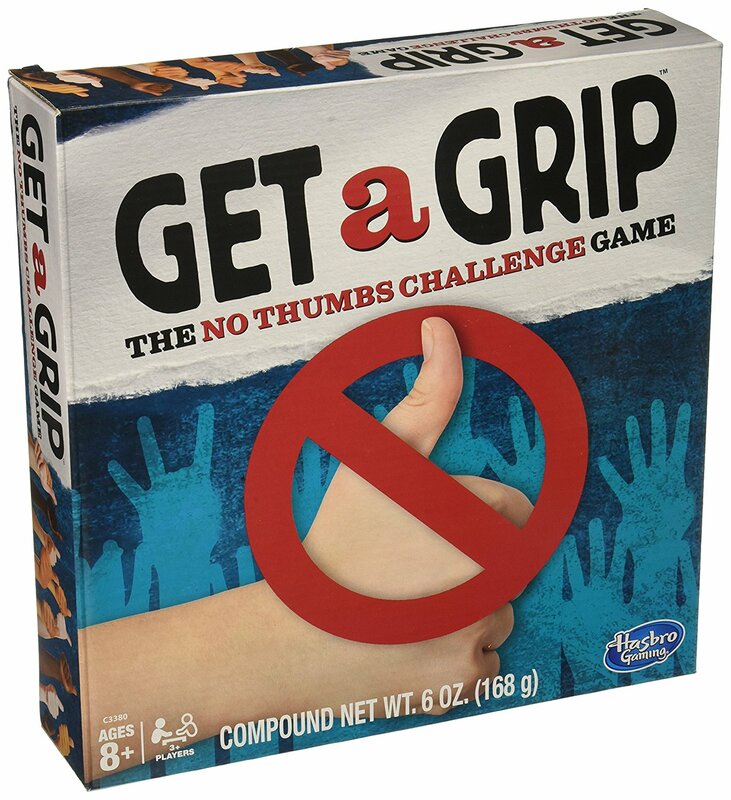 Hasbro’s is called Get a Grip ($20) and comes with four cloth wraps to immobilize players’ thumbs, 60 challenge cards, two cans of sculpting clay, and two drawing pads. 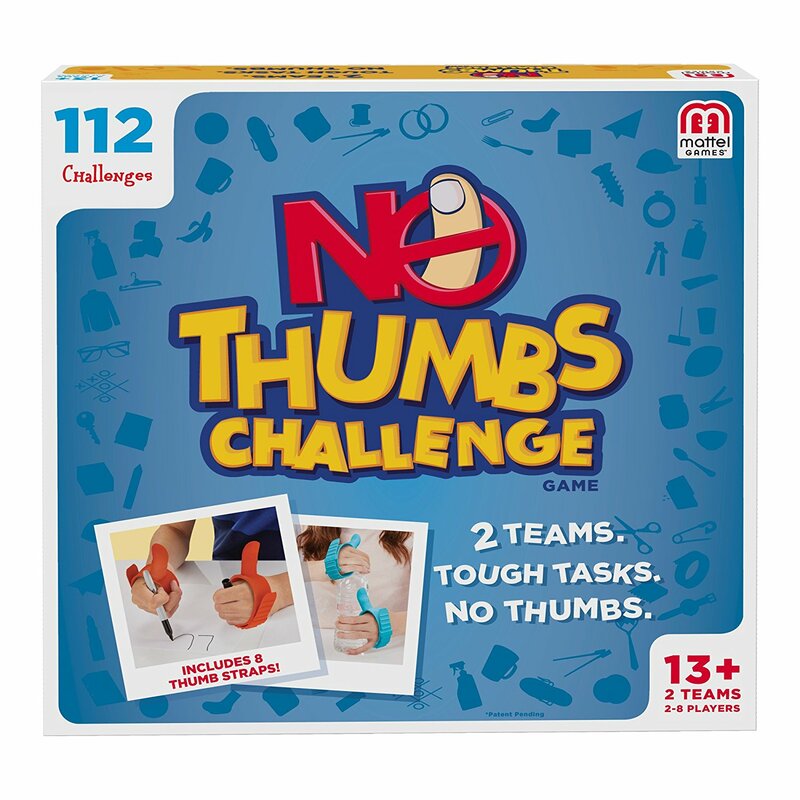 Mattel’s is called simply No Thumbs Challenge ($20) and comes with 56 cards (112 challenges) and eight plastic thumb straps, each with a silly plastic thumb unhelpfully sticking out to the side (but for safety, a player’s actual thumb is held securely to the palm). 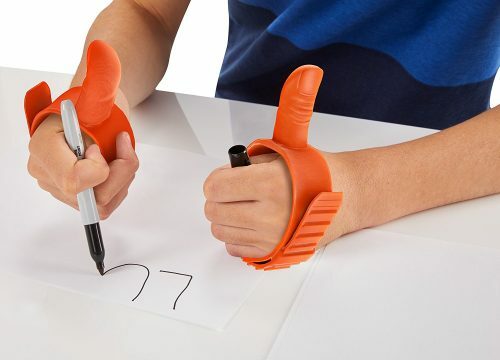 In either case, the goal is to complete the task as best one can without the benefit of an important evolutionary trait, opposable thumbs.